Our point of difference is not to present your property like the typical property styling companies out there. We style your property with soul and warmth. We will style and present your property with wow factor! 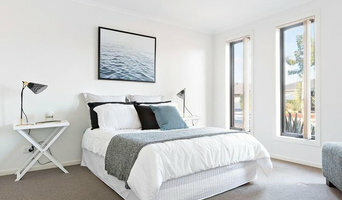 So how do we do property styling? We take property styling to another level, we will fit out your home the way you want to live, and inspire others that walk through your home. We attract and evoke emotional responses from potential buyers. We appeal to their senses on every level. When Styling Spaces presents your home for sale we will create an aspirational home with warmth, soul, passion and individuality. 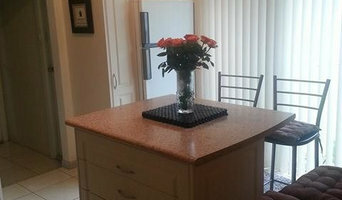 Styling Spaces does not use standard furniture hire packages. Each property is given a bespoke furniture hire solution, yet we keep the furniture hire fees affordable and provide our clients with a high end finish that will add value to your property. We believe that property styling is an integral part of every sales campaign. Our commitment to you as our client is to provide you with the highest standard of property styling no matter what your budget is. We help homeowners sell their property for more with our assessment and personalised DIY reports to style their property for sale using their own furniture or with home staging. 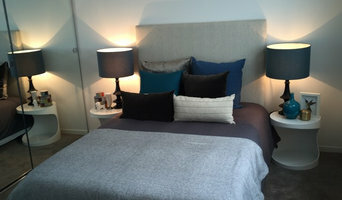 We also help them create beautiful homes to suit their lifestyle within their budget with clever interior design ideas. Perfectly Presented Properties offer a range of services to prepare your home prior to putting it on market. As a trained professional member of the International Institute of Home Staging you can be sure you are hiring the experts in home staging. The Urbane Property Stylist was born out of a love for creating beautiful spaces through furniture and accessory selection. Furthermore, we have a passion for colours, textiles, shapes and all things styling. So much so, that when our home ran out of space for all the pieces we loved, we realised it was time to style outside our home and into yours. As a result, The Urbane Property Stylist offers a personalised service, styling your property with the same passion, care and attention to detail that we hold in styling our own. Beautiful homes feel lived in. Our styling combines high-end furniture, up-cycled one-offs, greenery, fun prints and anything we can get our hands on that inspires potential buyers to imagine their dream life happening in your home. Whereas many property stylists will only work with a blank canvas, we love working with occupied homes. We understand the financial and logistical constraints of this, and happily work with your existing furniture in place. We don’t use a cookie-cutter approach to styling. Every single project we tackle is different. You will have a dream sale price in mind, and we tailor our work and our styling towards attracting your target market. Simply put – we help you construct the dream home for your dream buyer. Our work is results driven – we don’t waste your time or money installing pieces that wont directly contribute to the overall goal of you achieving your desired sale price. A clutter-free home is vital. SIMPLIFY.ME started its days as a Professional Organisation business, and we still stand up for our belief in the universal appeal of a clean, clutter free space and its ability to deliver better results. We understand the value of the real estate dollar, so we work quickly and efficiently and we get creative developing the look you want for less. Whilst our style is minimalist and contemporary, we do love a good artwork or cushion. An investment in soft furnishings can go a long way to helping potential buyers to imagine their new life in your home. 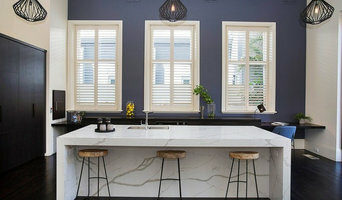 DJ Property Styling will transform a vacant property into a warm welcoming home that potential buyers will fall in love with. We will select beautiful furniture, artwork and decorative pieces to enhance the features of your home to attract a top sale price.. Designing and staging a home takes great patience and care. The use of the latest trends in furnishing always ensure that your intention is achieved. Staging a home using an experienced interior designer ensures that your needs are met and that your home achieves it's end goal. Our designers are experienced in our field and our passion for staging each and every properties highlights the skills required to make the presentation of your home in a perfect way. We like to show off our skills and we love what we do. !t's just the way we are! Thinking of selling your property? Create a home buyers will yearn for. Investing in your biggest asset before you put it on the market could be the smartest decision you've ever made! We are an experienced and talented bunch of stylists who can see the big picture from the first step into your home. We are a wealth of information, we are advisors and directors and we have a great little address book of tradespeople we work with that help us turn our vision into your reality. On some occasions we can supply everything in the home to properly present it for sale, from the outdoor setting in the back yard, to the front door mat at the entrance and everything in between, or we can work with existing furniture and add the missing pieces to create the wow factor!